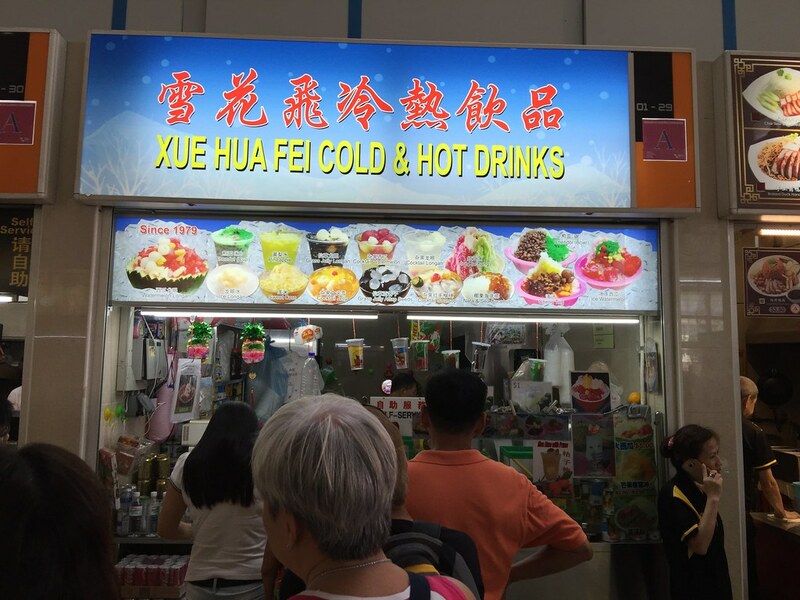 Dessert stalls in hawker centres selling Ice Kachang, Chendol etc, are a common sight in Singapore. 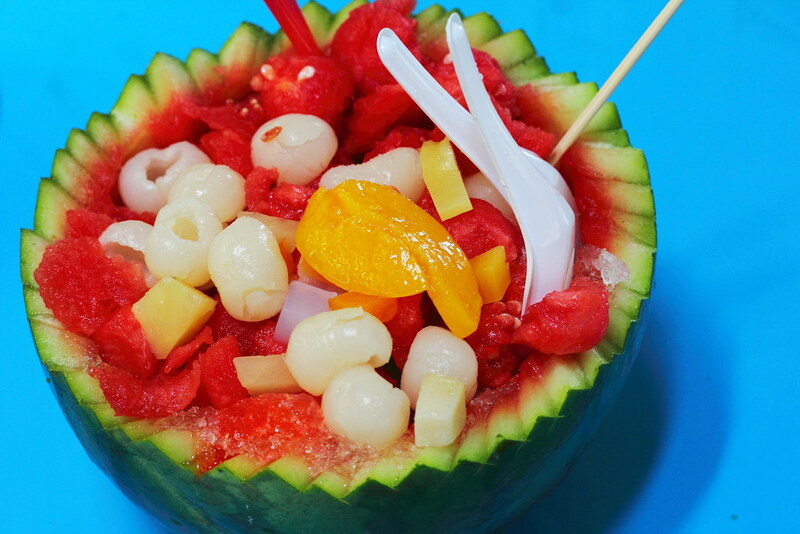 However at Bedok Interchange Food Centre, Xue Hua Fei Cold & Hot Drinks stall has this signature dessert that comes in a watermelon bowl topped with different fruits. The huge servicing has been drawing crowd to the stall to check out this massive watermelon dessert in a bowl. The watermelon dessert is literally called Da Xi Guan (大西瓜), meaning big watermelon. The portion is good for sharing and it costs $6. Be prepared to wait as the stall uncle will prepare everything from scratch. 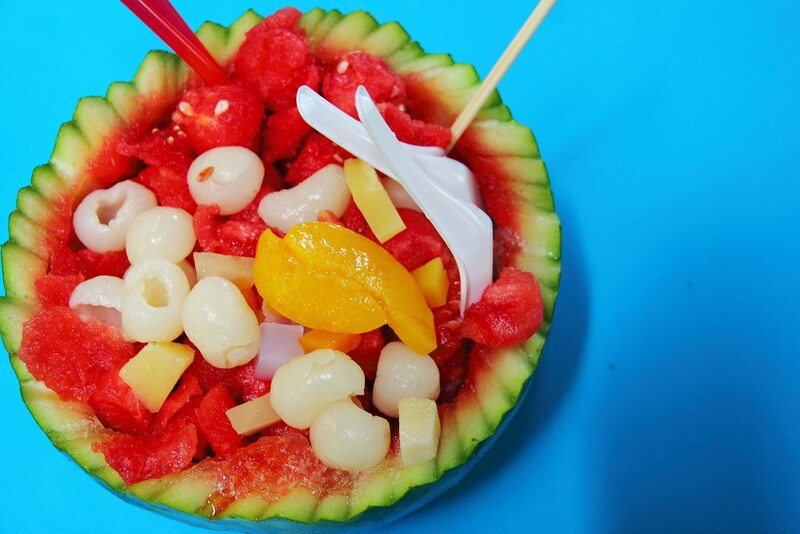 He will cut the watermelon into half, dig out the watermelon's flesh and put ice into the empty watermelon bowl. 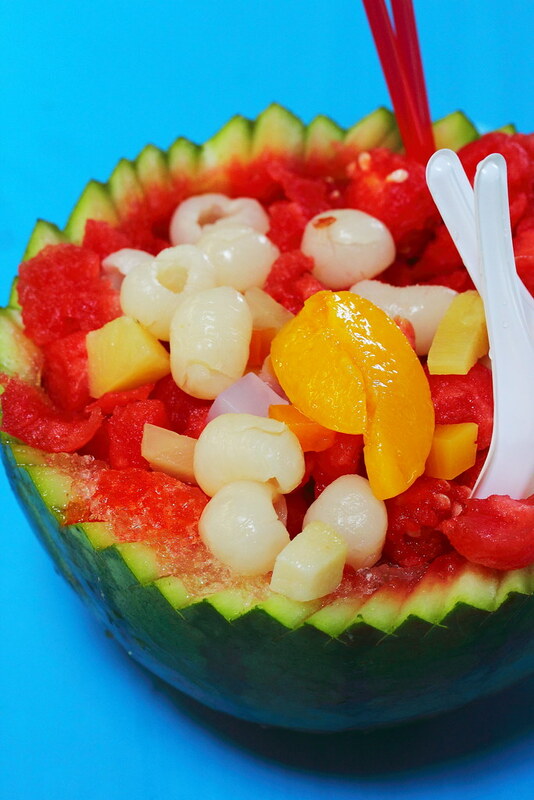 The watermelon flesh is then transfer back into the bowl together with all ingredients such as nata de coco, pineapple, longan and peach. As the stall uncle prepared everything from scratch, be prepared to wait. The huge watermelon is probably good for 4-5 pax. I would recommend not to rush into finishing it. Take your time to enjoy the dessert and allow the ice to melt. You will get a bowl of watermelon juice at the end.